The worldly problems of MBMC are managed by the Board of Management, while the Sangha takes care of the religious and meditation matters. 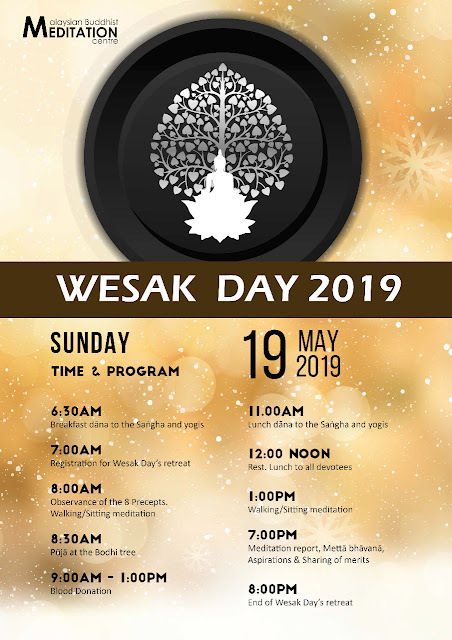 The Board with the excellent support from the devotees and guidance from the Sangha, had organised annual events such as the Wesak Day celebration; the Vassa Entry; the Kathina Robe Offering ceremony and the Novitiate for Samanera/Sikkhavati. Besides these events, the Centre also conducts the weekly Sunday Dhamma School for the young; Friday Evening Meditation Class; and runs a library which is well-stocked with Buddhist books and literature. 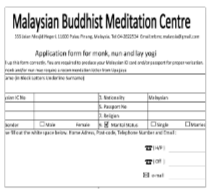 Malaysian Buddhist Meditation Centre (MBMC) was founded on 11 February 1969 by the late Venerable Abhidhammapalanana Thera, (who was also known as Phra Khru Dhammabarnchanvud). The late Venerable was MBMC’s inaugural Chief Abbot. He was an able missionary who was sent to Malaya to propagate Buddhism in Penang. He established MBMC and constructed the main 3-storey building in Green Lane, Penang. Malaysian Buddhist Meditation Centre owes immeasurable gratitude to the late Venerable. It was also his guidance, teaching and exemplary selfless devotion that the activities and publication of Dhamma books had been possible. He stressed on the practical application of the Dhamma in daily living to achieve liberation through the practice of Vipassana meditation. 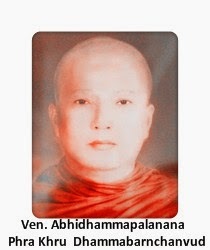 The late Venerable also taught Abhidhamma in MBMC. Hence, with the birth of MBMC, the teaching of Vipassana meditation took root and spread throughout the country. MBMC has since been recognised as the premier Vipassana meditation centre in the country. The late Venerable Abhidhammapalanana Thera passed away on 20 March 2012 in Thailand. Sayadaw U Pannananda was born in 1958. He received higher ordination at the age of twenty. He graduated with Sasanadhaja Dhammacariya and is a disciple of Ovadacariya Sayadawgyi U Panditabhivamsa of Panditarama Golden Hill Meditation Centre in Myanmar. Sayadaw studied and practised the Vipassana Meditation under Ovadacariya Sayadawgyi U Panditabhivamsa. Sayadaw U Pannananda also taught Vipassana Meditation and gave Dhamma talks as an assistant meditation teacher while he stayed in the Panditarama Golden Hill Meditation Centre. He was Dhamma lecturer in Myanmar from 1982 to 1994. While at Maha Bodhi Temple, he was a pariyatti teacher. He is also an experienced Abhidhamma teacher. MBMC is managed by a 13-member board of management comprising laypeople. Past chairmen of the board were the late Dr Yeoh Eu Hock and the late Mr Saw Choo Aik. Year-round intensive meditation for local and foreign yogis. Weekly Friday part-time meditation classes. One-Day meditation programme on every last Sunday of each month. Vassa-Entry by members of the Sangha and Sayalays. MBMC offers reasonably comfortable accommodation and nutritious food to the resident Sangha, Sayalays and fulltime meditating yogis. MBMC library has a good collection of Lord Buddha’s Dhamma books. The library also has a complete set of the Pali Text. There is a very wide range of Dhamma books in English as well as in Mandarin. Dhamma talks in cassette tapes, CDs and video tapes are easily available in the library. MBMC is a member of the national Theravada Buddhist Council of Malaysia.